Metallic tubing is critical in transporting water coolant to steam generators within nuclear power plants but Alloy-600, a high-strength nickel-based alloy, is susceptible to intergranular stress corrosion cracking leading to costly failure at many plants. To combat this issue, a team of researchers has designed a new technique to essentially x-ray and “map” cracks and potential crack areas among Alloy 600. 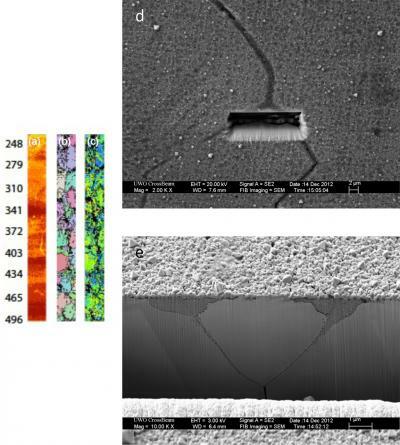 It is essential to identify tiny areas under local tensile stresses, because these stresses can lead to issues, most notably pulling a material apart at the boundary between two metal grains. McIntyre and his team are using an extremely small x-ray beam to locate potential problem areas under local tensile stresses, resulting in them being able to “map” or determine where strains may eventually crack.